Today marks the 235th birthday of a very special woman – Maria Brontë, born Maria Branwell, the mother of the Brontë siblings: Maria, Elizabeth, Charlotte, Patrick Branwell, Emily Jane, and Anne. Maria Branwell was born into a prosperous and well connected merchant family in Penzance, Cornwall on 15th April 1783. 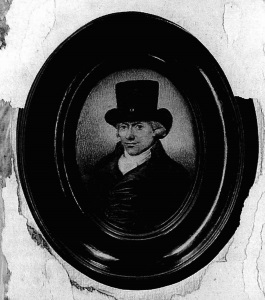 Her father Thomas Branwell was a wealthy businessman, and under him the Branwell property empire and fortunes grew. Maria’s brother Benjamin rose to become Mayor of Penzance, but she was particularly close to her sisters Charlotte and Elizabeth, who would become better known as Aunt Branwell after sacrificing everything to raise Maria’s children after her tragic and untimely passing. It was the death of Maria’s parents Thomas and Anne that led her, in the summer of 1812, to make the arduous journey from Cornwall to Yorkshire to work as an assistant in a school that had been opened by her Aunt Jane and Uncle John Fennell (as a comparison, this is a longer journey in miles than the one her daughters Charlotte and Emily would later take when they travelled from Haworth to Brussels). The school was in Rawdon, between Bradford and Leeds, and John Fennell had recently recruited a new classics examiner for the schoolchildren. It was a friend of his from his days in Shropshire who had also moved to Yorkshire. He was of course Patrick Brontë, and when he and Maria first saw each other it was love at first sight. The rest, as they say, is literary history. We still have some of Maria’s love letters to Patrick, who she christened ‘my saucy Pat’, and they are beautifully written, often playful, but most obviously full of love. By this time neither she nor Patrick were in their first flush of youth, she was approaching her thirtieth birthday and he was six years older, but they fell head over heels for each other almost instantly, and were married within six months of their first meeting. 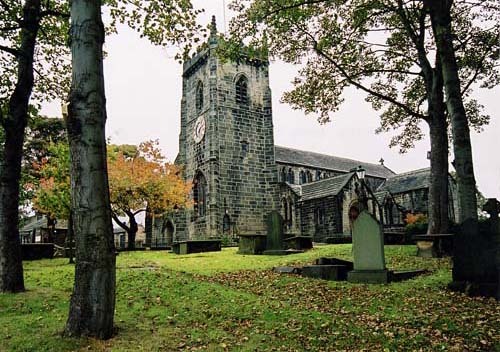 The cakes were for their wedding, as they were married in Guiseley’s St. Oswald’s church 24 days later. These were the letters that Charlotte Brontë loved to read, and they revealed a warm, witty, loving woman. This is how we should remember Maria Brontë, nee Branwell, as well as for the brilliant family she bore, as we say ‘Happy birthday, Maria Brontë!’ Incidentally, we’ll be saying that again in a week’s time, in a sense and for a different reason, as although we don’t know the exact date her first child, the kind, brilliant and prodigious genius Maria Brontë junior, was born, she was baptised on 23rd April 1814. It was such a tragedy that none of the children really knew their mother as the happy and witty woman Maria Bronte obviously was. I also find it interesting that all her children’s names bar Emily were family names. Do you know how her name was chosen or was it one that they simply liked? Good question, it’s one I look at in my new book on Emily as she’s the only Bronte not named after a relative (although her middle name Jane seems to be a tribute to Maria’s cousin and aunt Jane who were at the school where Maria and Patrick met). The short answer is nobody knows, I’ve tried to find Emilys they may have known at Thornton and drawn a blank. My guess is it must have been a close family friend we don’t know about now. Terrific post Nick! Those Maria Branwell letters always remind me of Charlotte’s…just from another time . It must of been amazing for CB to have her mother ‘s WORDS before her, being a woman of words herself. Words indeed have ” indescribable” effect on such a person . I have often wished Patrick shared those letters earlier, with Anne and Emily too…particularly, Anne . How they would have thrilled her! Next Next post: Happy Birthday Charlotte Brontë, 202 Today!